Say hello to Linda from Brunch with Joy! 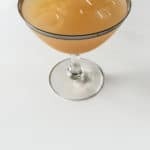 She has an awesome cocktail for us today. Hello Feast + West readers! Thanks to Susannah for having me here today. I just love pomegranate season. The beautiful colors of this sweet and tangy fruit make me feel so festive. When I went to the farmer’s market last year, one of the sellers gave me a quick lesson on pomegranate. 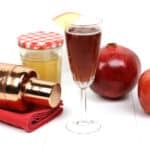 Do you know there are two kinds of pomegranate? Red and white. Red is tangier and white is sweeter, so always aim for white when possible. 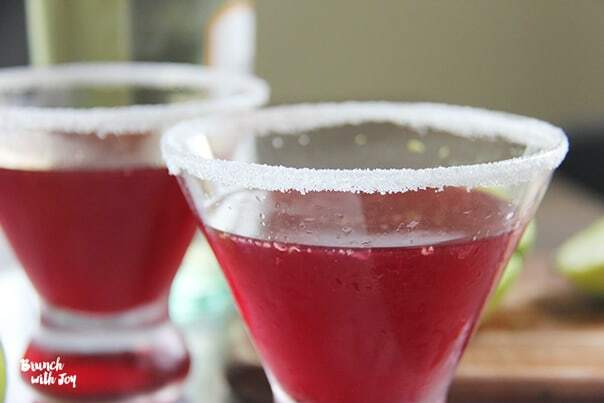 Last December, a friend of mine served us pomegranate cocktail on one of the Christmas celebrations. 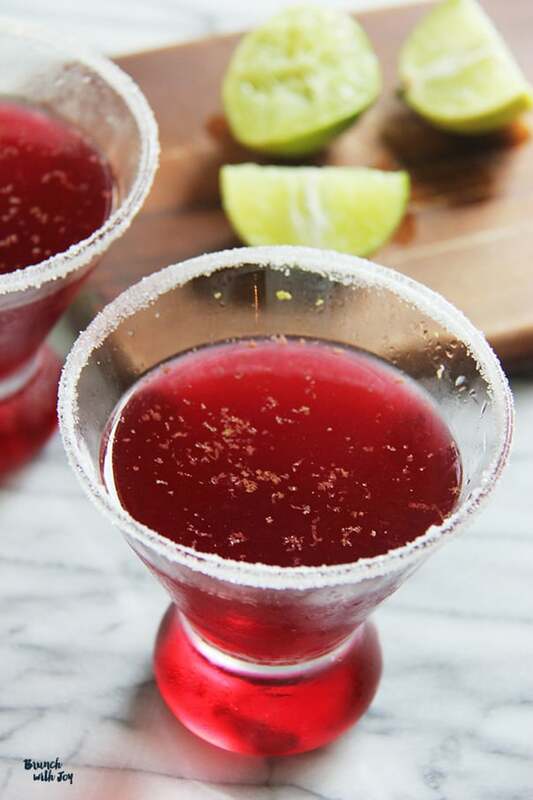 It’s red, festive, but not too strong like regular cocktail. It was love at first sight for me. 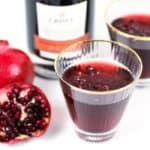 So today, I am sharing with you this Pomegranate Wine Cocktail. You can adjust the wine to your liking. 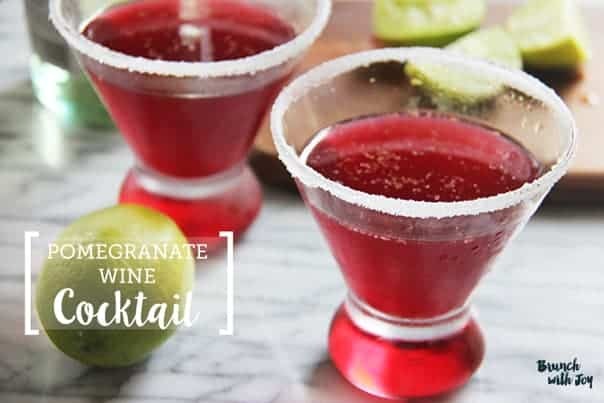 I’m using sweet white wine to balance the level of pomegranate juice and also since I’m a sweet tooth, this pomegranate wine cocktail is perfect. Not too sweet and not too strong compared to other liquors. 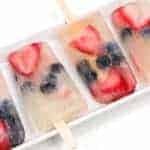 Surprisingly, pomegranate works well with sweet wine so I teamed these two ingredients to make the ultimate princess treat. Cheers! Linda is the blogger behind Brunch with Joy. In her spare time, you would constantly find her talking about food, drawing doodles (mainly food), and daydreaming about restaurants that she would love to visit. Being a foodie herself, she always drools each time she reads other foodie stories from food bloggers, and those stories have motivated her to share her own. 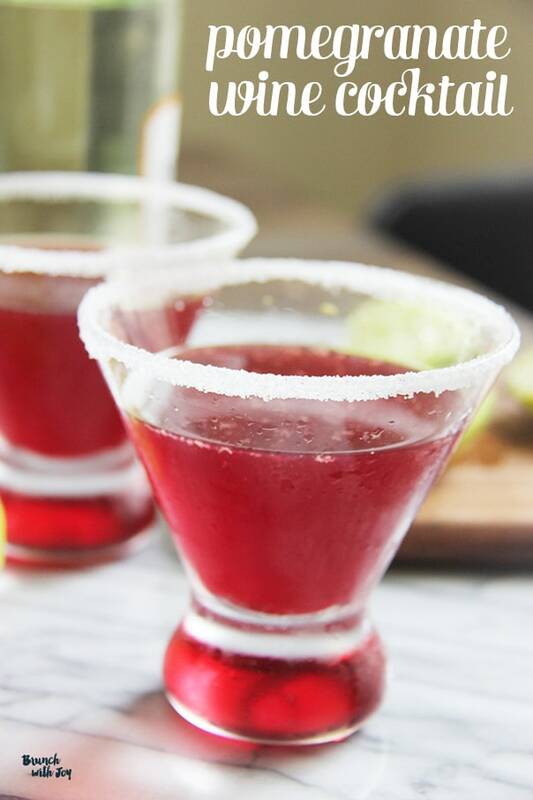 Click below to see Linda’s recipe for a Pomegranate Wine Cocktail! Combine all the ingredients and enjoy.